It’s funny the way some things happen, isn’t it? I came across a post in my recent cyber travels about a fellow Charlottean, Mike Orell, who is (apparently) wild about the amazing tree canopy that we have here in The Queen City. In case you didn’t know, Charlotte is known for having one of the finest urban forests in America and it is one of our most recognized and treasured natural resources. The Charlotte Skyline. See all the trees? Amazing for a city of about 1 million people, right? I have to admit that I love the trees, too. One of my favourite things about Charlotte is the abundance of green and the trees are definitely a big part of that. Sadly, our urban forest is old, fragile and depleted and is at risk of being irrepairably lost if action is not taking to better preserve it. Fortunately in 2010, our city council recognised the canopy’s importance and launched a bold public/private collaborative, TreesCharlotte, whose task was to assess the condition of the canopy, support and protect the existing trees, and set a goal of planting over 500,000 trees over the coming decades. It is largely volunteer driven and has been very successful to date. A truly wonderful community project with a lasting legacy. Trees are important. Trees are beautiful. And they increase our land values. 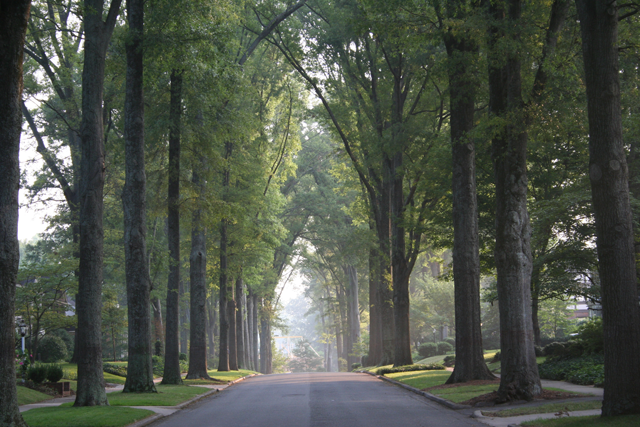 Typical tree lined suburban Charlotte street. Gorgeous, right? And then I realised that *I* am an Urban Forager, too. Well, in that there is this amazingly enormous fig tree along one of my running routes that is simply ladened with fruit in the Autumn, and that I have been known to slow and enjoy a fresh sweet fig or two from its offerings as I pass. My running buddies think I’m mad. I’m ok with that. And then I thought of the people I see walking along the walking paths in Florida carrying the fresh coconuts home that had fallen the night before. And I realised that *they* are Urban Foragers, too. And I remembered the NPR segment I heard months ago about a global (global!) online project called Falling Fruit that crowd sources locations of publicly available fruits and maps them, so you can go and be an Urban Forager in your own piece of the world. Amazing! And then my friend, Sarhn at GreenerMe, posted just yesterday about her adventures collecting wild Slippery Jack mushrooms. Turns out that she’s an Urban Forager, too! And I remember going ‘mushrooming’ after a rainfall in the Autumn months as a child so I guess I’ve been doing it for a long time, afterall. It is just all around me right now. Funny how sometimes things like that happen, right? All at once? But what does all that meeaaaannn??? I dunno. But I like the advice Mike gives: To “pick your head up and start to really see what’s around you”. Good advice for life, really. Are there any other Urban Foragers out there? Perhaps you are an UF and just never knew it (like me)? I so want to do this, but I really don’t know where to start. 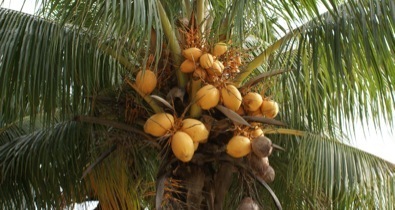 I am in Florida but don’t have easy access to coconuts. Not sure what else is edible in my area. Ooh, I had no idea. I’ll have to put Colorado Springs on my list of Must-See places, too. I love the tree canopy. 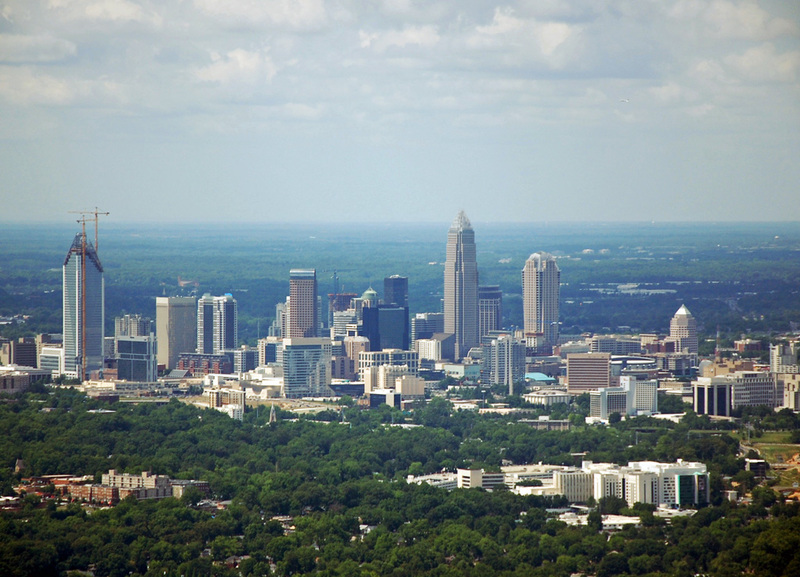 One of the goals of Trees Charlotte is to have 50% tree canopy coverage by 2050. 50% of the whole city covered by trees! Extraordinary, right? Does Colorado Springs have a long term vision for their canopy? Such a precious and amazing asset that I am sure is very beautiful. Aren’t we lucky to live in such lovely places? I don’t live in Colorado Springs. I visit family there a few times per year, so I don’t know about their policies. I will ask my mom though the next time I talk to her, or I may look it up because I’m curious now. If you visit Colorado Springs, you also must visit Manitou Springs, a little hippy town on the West side. I’m sure you can find places to forage there. I wouldn’t be surprised if the foraging movement is thriving in CO Springs because they have an economy dominated by organic consumers. It’s a wonderful place!